This year has been another banner year for bike-sharing! Some time ago I made the prediction that bike-sharing would spread faster than any other mode of transit, but I’ve got whiplash at how fast the growth is happening. At this time last year there were 60 programs in existence. Now there are 92 bike-sharing programs up-and-running around the world with many more in various stages of planning for a 2009 launch. So that’s why it seemed like there was a new launch every other week - because there was! This year has seen the first bike-sharing programs in North America, Asia, Australia, and South America. My hometown of Washington, D.C. launched North America’s first program with Denver and Montreal following a few weeks later. Asia kicked-off bike-sharing with Beijing, just in time for the Olympics, and then Shanghai. The Australian continent saw Kiwis begin service in Auckland. South America rounded out the year with Rio de Janiero and Santiago launching just before we change the calendars. The remainder of this year’s 24 programs started across Europe from Seville to Krakow. Africa has yet to launch a program, however, hopefully will do so in the upcoming year. 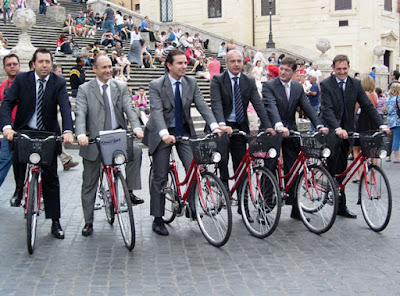 My predictions for 2009 are that bike-sharing will see another good year, despite the downturn in the global economy. Governments will have less money to spend on public services, however, in reviewing the cost of moving people (rather than of moving vehicles), they will see that bike-sharing strongly competes with other modes of transportation for short-distance trips. Accordingly, I predict 40 new programs will launch internationally next year. Secondly, the provision of programs with advertising contracts has been the predominant vehicle to initiate services to date. Today, more companies producing off-the-shelf technologies exist. This will lead to programs which are not sponsored by advertising contracts, but rather by local governments and entrepreneurs. More cities with smaller populations, call them 2nd and 3rd tier cities, which couldn’t support large advertising contracts will see bike-sharing services. Thirdly, university programs will take-off. There is intense interest coming from universities which have their own transportation needs and transportation budgets. Due to this, they have the ability to select the systems that best meet their needs and provide the density of bikes and stations the university requires, which the city in some cases couldn’t provide. In a time when global climate change issues have never been more important, The Bike-sharing Blog is there to help citizen advocates, businesspeople, public officials, and others better understand what bike-sharing is and how it could be useful in their own communities. The Bike-sharing Blog continues to be the world’s number one source of information regarding this concept. Links to programs around the world, fascinating research and articles, and a translation widget helps make the information manageable and useful to its readers. I always want to make this even better, so your thoughts are always welcome. Thanks to many of its readers sending information about the happenings in their communities, I’m able to keep The Bike-sharing Blog and The Bike-sharing World Map up-to-date. This blog is more than a passion for me, it's part of a movement towards better transportation. I want to thank you for reading The Bike-sharing Blog and here’s to a happy, healthy, and green 2009! If you'll be in the Washington, D.C. area this January 11, stop by the Transportation Research Board's workshop on bike-sharing. This event is open to the public and is guaranteed to be interesting. I'll be speaking on the panel about the status of bike-sharing systems in North America as well. Note: With the launch of the Paris Velib system, interest in public bicycle systems has skyrocketed in the past few years. Washington, DC and Montreal have launched their systems, and other cities are planning major programs. This workshop provides a detailed look at the role of public bicycles in urban mobility and discusses implementation considerations for planners. A round table discussion with speakers and guests will follow. At the end of the session, we will visit a nearby smart bike station. 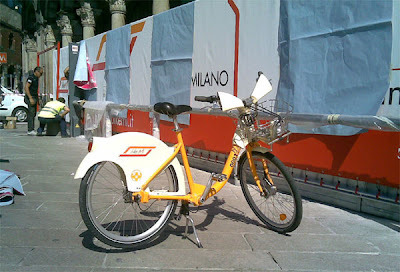 BikeMi debuted this month in Milan with 100 stations and 1,200 bikes. The system expects 300 stations and 5,000 bikes by end of 2009. A yearly subscription of €25 is available offering the first 30 minutes at no charge with graduated rates for additional time. There is a plan for weekly and daily rates for residents and tourists according to My-Milan. Thanks to Russell Meddin, Bike Share Philadelphia. South America has launched not one, but two bike-sharing programs this month - in Rio de Janiero, Brazil and Santiago, Chile. Both programs were rushing to be the first on the continent, with respective launches on December 4th and 9th. 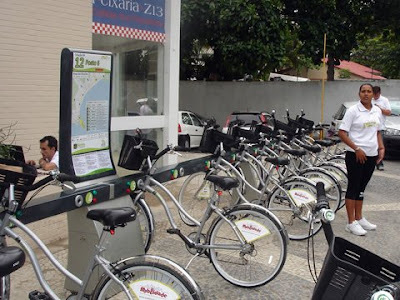 Rio’s system, Samba, launched with 30 bikes and three stations in Copacabana. By the end of December, the program will expand to have 80 bikes and eight stations, also in Copacabana. Each month the system will grow to a nearby neighborhood until at 15 months the program will be represented in eight neighborhoods with 500 bikes and 50 stations. Presently, Samba is in testing with a limited group. 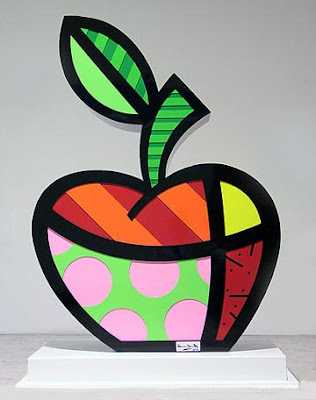 In January 2009, the program will be opened to the general public. The first 30 minutes of use will be free for customers. 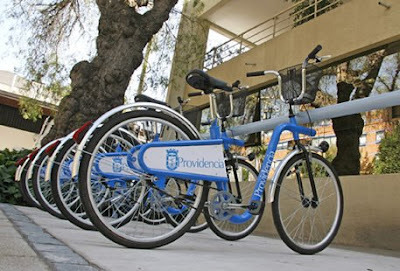 Providencia, a borough of Chile’s capital city, Santiago, launched b’easy with 100 bikes and 10 stations. The bikes are available from 7:30am to 8:30pm for up to one hour per use with a monthly subscription of $1.50 USD or a yearly subscription of $12.50 USD. Subscribers sign up either at a station or online. The system was created by Centrolniciativa, a business incubator, of the Economics Faculty of Diego Portales University. It uses locally fabricated bikes, stations, and subscription card readers. Mayor Cristián Labbé of Providencia hopes b’easy is adopted throughout the boroughs of the city. Special thanks to Russell Meddin of Bike Share Philadelphia. Public Broadcasting Service (PBS) in the U.S. recently showed a program on bike-sharing in a series called e² which is "about the economies of being environmentally conscious." The synopsis: "Paris’ ambitious public-private Vélib’ bike initiative encourages residents to forgo cars for bikes and public transportation. 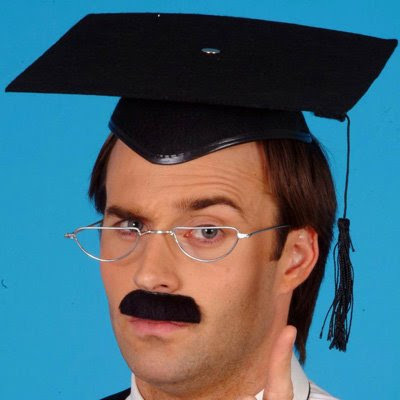 In the process, the program has fostered a unique popular culture, complete with its own language, jokes and pick-up lines. If imitation is the sincerest form of flattery, Paris Mayor Bertrand Delanoe has undoubtedly taken heart: Its success has inspired cities like Rome, San Francisco and London to begin adopting similar programs of their own." A 3-minute excerpt from the program is available. The 30-minute program can also be streamed on-line. From the link, click on Webcasts and then Paris: Velo Liberte'. The folks in Barcelona aren't dreaming of a white Christmas, they prefer a green Christmas. 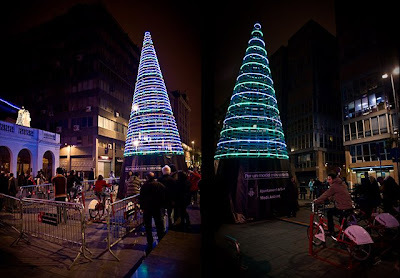 As reported in WIRED, two Christmas "trees" in the city's square of Mercat Santa Catalina are being lit up by pedal power provided by passersby and Bicing bicycles. 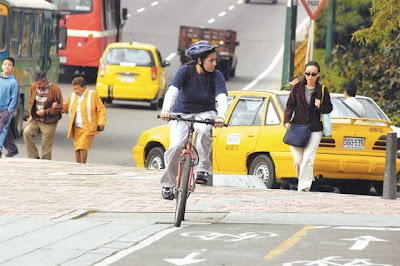 According to Elespectador, Councilman Carlos Ferreira Orlando of Bogotá, Columbia, wants to create "BIKE-BOGOTA", an Integrated Public Transport System in the Capital District to make an “urban revolution of two wheels.” This would include bike-share stations at subway and light rail stations, universities, colleges, and malls on or near the 350 kilometers of bike paths in the city. This bike-share system would use a prepaid rechargeable card from which the rental fee of each use would be deducted. 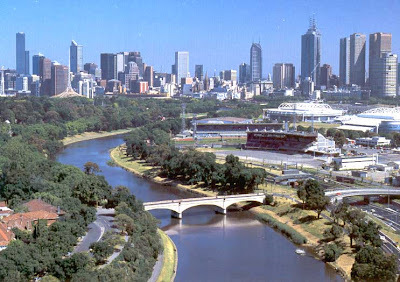 "MELBOURNE will get a European-style bicycle hire scheme for short trips made around town. "The Victorian Transport Plan has committed $105 million (Australian dollars) for bicycle initiatives, with most spent on improving paths and lanes. 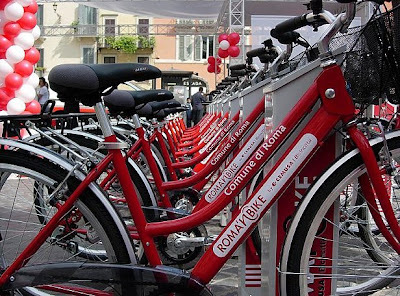 "Under the new Public Bicycle System, about 50 stations will be set up in the inner city housing 600 bikes. "It is scheduled to be operational by 2010." 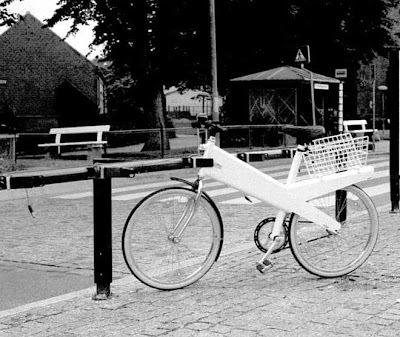 For those new to bike-sharing, an article I wrote for Carbusters Magazine called "The Bike-sharing Phenomenon - The History of Bike-sharing" provides a brief history of the concept from its earliest beginnings in 1964 Amsterdam as a radical movement to its latest incarnations as transit solutions to modern global problems. Check it out. It's a good introductory read. According to the Honolulu Advertiser the Hawai'ian island of O'ahu may see bike-sharing's launch as early as June 1. Momentum B-cycle, as the program will be called, will offer 100 bikes at 10 solar-powered stations. "The start-up cost is about $400,000 and will be privately funded", said Nguyen Le, owner of Momentum MultiSport Hawaii, the company that is behind the program's development. The article states "the first half-hour of ride time will be free. The next half-hour costs riders $2, the next 30 minutes is $5 and so on. Billing will stop at $100, but if a bike isn't returned within 48 hours, the user's credit card will be billed the cost of the bike — currently $900." "Another thing working in favor of Momentum B-cycle," says the article, "is the planned rail system. The city's master bike plan, scheduled to be released next summer, is expected to include bike paths near rail stops,' Chris Sayers, bicycle coordinator for the [Honolulu] Department of Transportation said.
" 'If rail is on schedule and the master bike plan is implemented, the two could come together with bike-sharing to make it easier to use mass transit,' " Sayers said. " 'With bike sharing you need critical mass to make it work. I know if it were available when transit comes I could see taking the rail to get to Kapolei, then bike-share over to the West O'ahu campus.' "
B-cycle is the newest product of healthcare provider Humana, which has improved upon its Freewheelin' bike-sharing system which was used at the Democratic and Republican National Conventions in the U.S. during this past August and September. London Mayor Boris Johnson is quoted in the UK's Guardian newspaper as having said: "I have long held the view that a cyclised city is a civilised city, but if we are to get more Londoners on to two wheels rather than four we need to provide the facilities to help them do so." This is why he has tasked Transport for London (TfL) with releasing a tender to initiate the city's bike-sharing program for a May 2010 launch. According to the TfL site, the City of London and its buroughs want 6,000 bikes at 400 stations with stations every 300m. "It is expected that an initial 6,000 bikes would prompt around 40,000 extra daily cycle trips in central London by 2010," says the Guardian. While significantly smaller than Paris' Velib' with 20,600 bikes, London's program would be one of world's largest, sharing the recognition with Barcelona's Bicing. London has seen tremendous growth in cycling this decade "with a 91% increase on London's major roads since 2000", says the Guardian. Much of this increase is due to London's tremendously successful congestion charging scheme which requires motorists to pay a fee of £8 ($12 USD) to enter the center city. Due to the cost of the congestion charge, it has shifted many auto trips to transit, biking, and walking, thereby improving congestion and air quality. "I hope a central-London cycle-hire scheme will inspire Londoners as a whole, and not just the adventurous few, to get on their bikes and give cycling a go. I believe that the work we are carrying out can make the capital a city of cyclists, where to use two wheels is common, not curious," said Mayor Johnson. 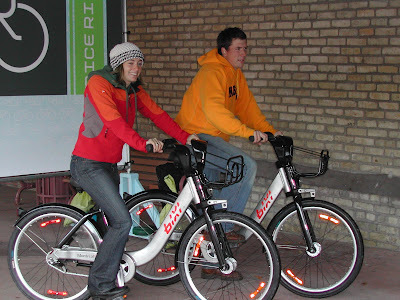 As reported in Downtown Journal, Minneapolis has selected a bike-sharing system vendor and hopes to launch its $3 million program in May 2009 with 1,000 bikes at 75 stations. The City of Lakes Nordic Ski Foundation, a non-profit which will manage the program, selected Public Bike System as the system vendor. 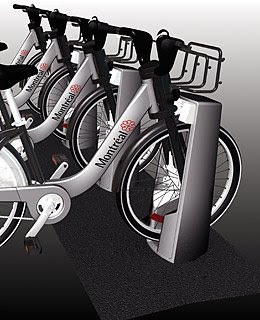 According to Downtown Journal, "The bikes proposed for Minneapolis were designed by Stationnement de Montréal, which is the city of Montreal’s parking authority. The agency is launching a bike sharing [sic] program in Montreal next spring and it beat out six other companies to take the Minneapolis job." 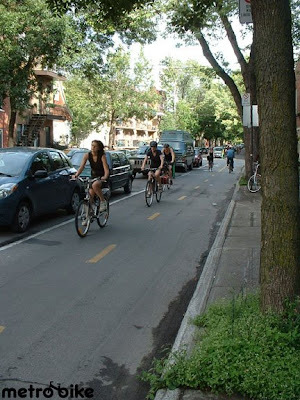 Stationnement de Montréal spun off Public Bike System into a non-profit to provide its system to other cities. 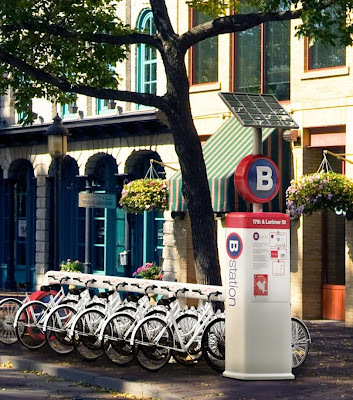 For more info about the Minneapolis program, visit Public Bicycle Sharing in the Twin Cities. TIME magazine came out with a list of its 50 Best Inventions of 2008 and Montreal's Public Bike System (aka Bixi) ranked as their 19th best of the year. I won't squabble with TIME for putting it after the New Mars Rover even though fewer people have been to Mars to see the Rover in-action compared with the thousands that saw Bixi during its demonstration period this fall. 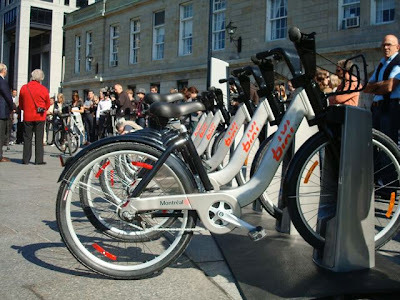 With the millions of trips that will be made on Bixi after its launch in April 2009 with 2,400 bikes, the program will prevent tons of carbon dioxide and other pollutants from being released into the atmosphere that would have been emitted by motor vehicles. The program will also create a healthier public by adding exercise into the daily lives of its customers. Congratulations, Montreal on this much deserved honor. 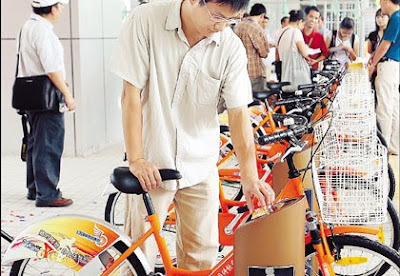 According to AFP, Shanghai began testing a bike-sharing system last Monday. "The programme was launched to coincide with World Car Free Day [..] and is part of the city's preparations to host the 2010 World Expo, whose theme is 'Better City, Better Life,' Shanghai Metro said. "If successful, the programme will be expanded to 800 stands outside metro station exits and on 2,700 other sites in business and residential areas by 2012, the Shanghai Morning Post reported. "To use the system, riders must pay a 200 yuan (29 dollars) deposit and are charged one to three yuan an hour on a progressive system designed to encourage short rents and quick turnover. The first half hour is free. "The bicycles are being supplied by the Shanghai Forever Bicycle Company, one of Shanghai's oldest bicycle brands. "Shanghai-made Forever, Phoenix and Flying Pigeon brand bicycles used to dominate the city's roads, but as China has become more affluent cars have taken over. "The city recently banned bicycles from travelling on select major roads to prevent them from slowing down motorists." The potential for bike-sharing in China is huge. According to People's Daily Online, China "had more than 660 cities by the end of 2002 of which 10 had populations of more than 4 million each in the urban area; 23, between 2 and 4 million; 138, between 1 and 2 million; 279, between 500,000 and 1 million; 171, between 200,000 and 500,000; and 39, less than 200,000." Cities with all these sizes, as well as those smaller than 200,000 residents, are capable of supporting bike-sharing. So with 660 cities plus likely a few more since 2002, governments have a clean slate to implement programs in a country that is known for once having one of, if not THE world's greatest cycle culture. 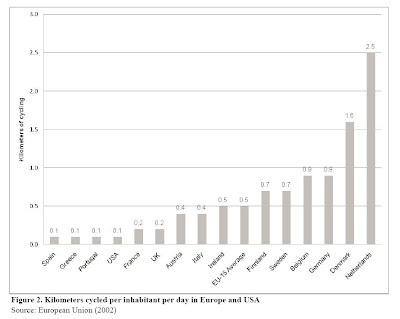 The question which Earth's climate may very well depend on is can China bring back it's former glory as being a leader in bicycle use? p.s. - It's interesting to note that Shanghai Metro is running the program. A transit agency running a bike transit program, what a concept! 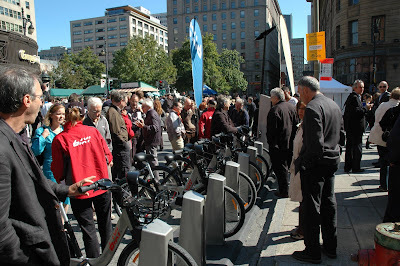 On Sunday, September 21, Montreal's mayor Gérald Tremblay kicked off their city's newest transit service - Bixi - with 40 bikes at four stations for a 6-week free fall demonstration period before a grand launch next April 15 with 2,400 bikes. 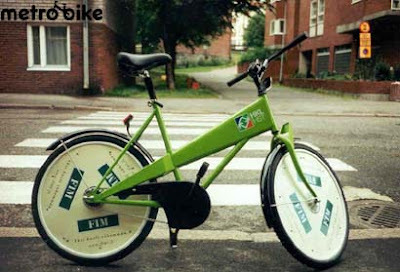 The program's name (sounds like "Dixie" with a B instead of a D), a combination of bicycle and taxi, was created by an individual in a public contest and voted on by the program's future customers. "High-tech and vandalism-resistant, Montreal's bikes feature comfy seats, three speeds and raised handlebars, and will be stationed at solar-powered docking stations that can be moved according to demand. The first half-hour will be free, the next half hour $1.50, and successive half-hours get pricier; the objective is to use the bikes for short hauls," reports Canada's Globe and Mail. Additionally, "The parking authority invested $15-million into Bixi, but says it expects to break even; 80 per cent of costs are expected to be defrayed through memberships, which would cost $78 a year or $28 a month." A 24-hour pass is available for $5. Having recently visited Stationnement de Montreal (Montreal Parking) last month, I was quite impressed with their system and business model. They are one of the first bike-sharing service providers of which I'm aware that are not advertising-centric, but rather mobility-centric as with their other duties with managing Montreal's parking with the quasi-governmental organization. Other mobility providers like departments of transportation take note on this means of provision. This is a new model which I'm sure will do well. 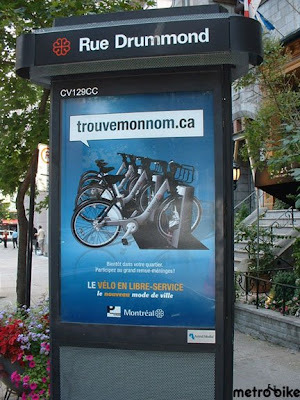 starting to implement North America’s largest and most promising bike sharing program in Montreal. sessions will be submitted to the City of Toronto as a research report that will feed into the City’s process for planning a public bike sharing system. 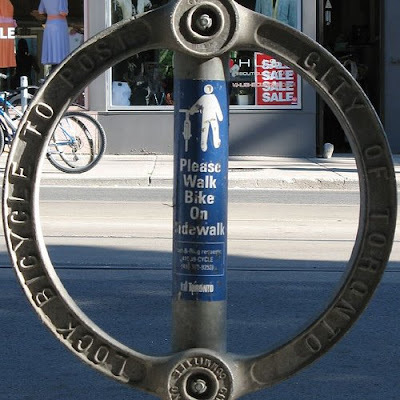 "WHAT: Bikes as a Public Good: What is the future of public bike sharing in Toronto? 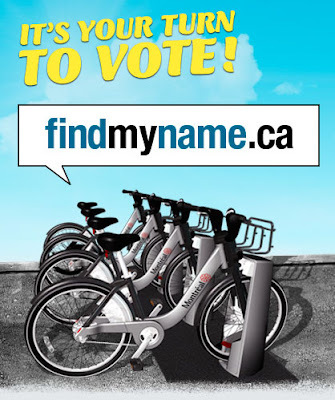 "For the full list of speakers, podcasts, and PowerPoint presentations visit: http://torontocat.ca/main/publicbikes." According to The Denver Post, "Nearly three times as many riders took advantage of the [Freewheelin'] bike-sharing program during the Democratic National Convention [(DNC)] in Denver than during the Republican counterpart in St. Paul, Minnesota, last week, according to program officials. About 5,550 riders pedaled 26,583 miles during the DNC, while 1,973 rode about 15,141 miles during the [Republican National Convention], the group Freewheelin reported Monday." If this is the first you're reading on this, I posted about Freewheelin' earlier. To be fair, it's worth pointing out that the first day of the Republican National Convention was substantially trimmed due to Hurricane Hanna. However, there is interestingly a gap between the ridership of the two parties at the conventions. Bicycling is not an issue to be politicized though. I'll follow that up with: as the Green Party says, "Neither left nor right, but ahead." Bicycling is an issue which helps societies move ahead. Bicycling is a health issue. It's a mobility issue. An environmental issue. It's just fun. With Presidential elections in the U.S. just about 80 days away, it's time that bicycling gets the priority and funding it needs with the next person in the White House so that it becomes a respectable and safe mode of transportation for a lot of us United States-ers. Minneapolis Mayor R.T. Rybak has committed to bring bike sharing to the Twin Cities in 2009. 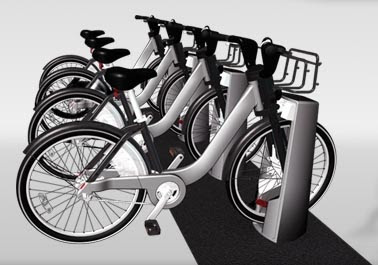 The Proposed Phase 1 public bicycle sharing system will focus on downtown Minneapolis, the main campus of the University of Minnesota, and the Uptown neighborhood. The City has partnered with Metro Transit, the University of Minnesota, bicycle advocacy groups, and local bike shops to develop a proposed system design. That system will complement public transportation by making it possible for students and workers who commute by bus or train to get to class or to their next meeting by the fastest, healthiest, and most fun mode of transportation on downtown streets—the bicycle. For more information and to view a request for proposals, go to twincitiesbikeshare.com. "A shared 'public bicycle' scheme, similar to a city bike initiative in Denmark, is set to be introduced in Melbourne, Government documents show. "The system would be similar to a scheme in Copenhagen, which has had a free "city bike" initiative in place since 1997 [actually 1995]. "In Copenhagen, cyclists put a coin in a deposit box and may then take a bicycle for as long as wanted, so long as it is returned to one of 110 city bike racks. It cannot be taken outside the city centre. "A spokeswoman [for the city] confirmed yesterday the Transport Department was working on the bicycle scheme, to be in place by the end of this year." The beauty of second generation (coin deposit lock) bike-sharing is its simplicity. Instead of fancy-shmancy high tech bikes and stations, all that's needed is low tech one speed bikes and coin deposit locks. This greatly reduces the cost per bike. However, as there's no tracking method of users of the bikes, theft rates do tend to be higher than third gen programs. As the head of the City Bike Foundation of Copenhagen said to me in 1996, "If a City Bike is stolen, at least the thief is riding a bike." In many ways he's correct. Third gen systems can cost up to $4,500/bike whereas second gen systems can cost $500/bike. Copenhagen's City Bikes (or "Bycyklen") were ingeniously designed by the father/son team of Wilhelm and Niels Christiansen and also are used is Aarhus, Denmark; Helsinki, Finland; and at a museum in Dusseldorf, Germany. The photo above is a sample of the 2000-model of the bikes which I helped build with a team of great Danes in Helsinki for the launch of their program. This morning Representatives Blumenauer, Oberstar, Petri, and Wamp hosted a news conference on the West Lawn of the U.S. Capitol announcing a "bike-partisan" challenge at the Democratic and Republican National Conventions in September. 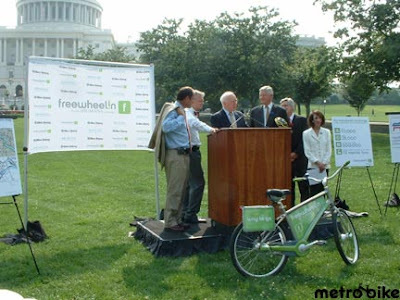 Humana Inc. and the not-for-profit Bikes Belong are bringing 1,000 free bikes to the political conventions as part of Freewheelin'. The Congressmen challenged convention delegates and all convention-goers to get on a bike and collectively participate in 10,000 bicycle rides and tally-up 25,000 miles. The Representatives noted that the benefits of bike-sharing are the deficits it produced - and the only good deficits you're likely to hear about these days - a deficit in obesity and pollution. 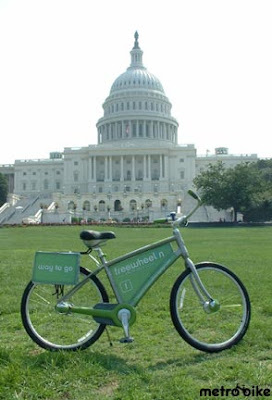 Freewheelin' is normally an unattended bike-sharing technology, however, at the conventions it will be attended by volunteers who will introduce conventioneers to bike-sharing. After each convention, 70 bikes and seven stations will remain in the cities with the remainder of the bikes donated to social programs. I would like to thank readers of The Bike-sharing Blog for your continued interest. What started off as a whim in May 2007 with the launch of The Bike-sharing Blog, readership and features of The Blog itself have greatly expanded over this time. Now over 200 individuals each day make this blog their source for international bike-sharing information. I work to make The Bike-sharing Blog interesting, useful, and insightful and hope it has assisted with the cross-pollination of this crazy little concept on two wheels in its spread throughout the world. In my on-going efforts to make The Bike-sharing Blog even better, I have created a new section especially for my readers from governments with the "Tender Examples" section on the bottom of the right column. 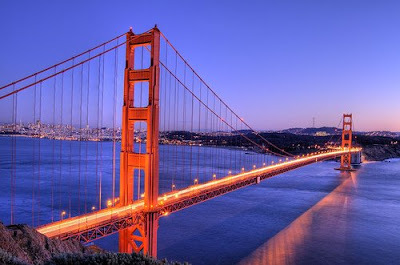 In this section, I have uploaded tenders from localities around the world, including Brisbane, Chicago, New York, and Tel Aviv which should be useful to government officials in the writing of their own Request for Proposal for their own citizens and visitors to benefit from a bike-sharing program. 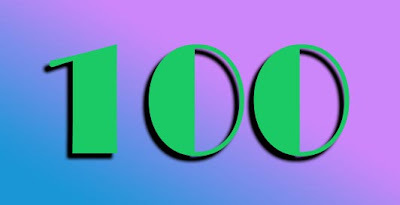 Now for the next 100 posts, I want to hear from you as to what you like about The Bike-sharing Blog and your ideas on making it even better. If you don't have a bike-sharing program in your city yet, write to your local elected leaders and transportation department head. No other mode of public transit has ever been as economical, healthy, and environmentally friendly as bike-sharing and therefore every city around the world should have its own fleet of transit bikes. 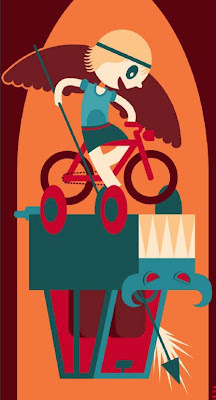 As reported by TreeHugger, Mexico City has a new bike rental program called Mejor En Bici or Better By Bike. "To use the bikes, users must register, sign a form, and leave a piece of identification and a deposit of 200 pesos (about $20), which is returned when the bike is dropped off at the same station. The bikes are available from Tuesday to Sunday 10 am to 6 pm." While not quite bike-sharing as the three urban stations appear to be staffed and don't allow for a different drop-off location, bike use programs of all kinds such as this one and employer bicycle fleets (i.e., bicycle libraries) are gaining popularity around the world with the rise in the cost of energy and greater concern about the environment. In order to facilitate bike-sharing companies in staffing their programs and job-seekers in finding these companies, The Bike-sharing Blog is now offering a service where bike-sharing companies may place an ad linking to their employment page for a fee. 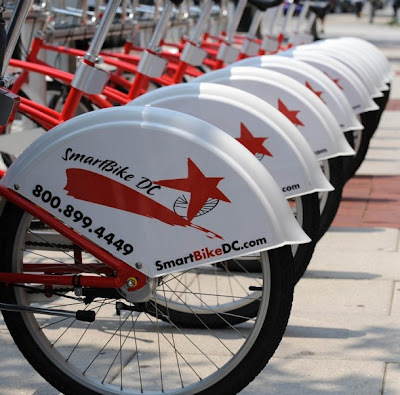 For more information on ad placement, bike-sharing companies should contact MetroBike. 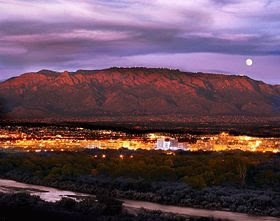 The City of Albuquerque has selected Clear Channel Outdoor to provide its SmartBike bike-sharing service. According to local TV station KRQE, "Mayor Martin Chávez said he plans to have 500 bicycles in more than 25 kiosks throughout the city by early next summer." 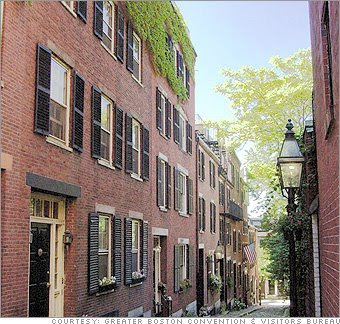 Pricing for use of the program has yet to be worked out, however, the mayor promises it would be affordable. After the problems Clear Channel has had in D.C. with the local power company, PEPCO, metering and electrifying the stations, Clear Channel is considering making their stations solar. This is a good idea in general and especially so in the American Southwest which has some of the highest rates of solar energy in the U.S.
Is There Such a Thing as Too Much Velib'? Hmmm, No. Streetfilms produced this interesting video about Velib' - the largest bike-sharing program in the world. Eric Britton of the New Mobility Agenda, and Celine Lepault and Didier Couval of the City of Paris discuss their city's phenomenal bike-sharing program. Britton states that it's more than a coincidence that the rise of bike-sharing programs was timed with the world's increased concern about global warming, as a majority of existing bike-sharing programs have launched in the past 3 - 4 years. I also have a catchy new soundtrack from this video which will be playing in my mind the next time I'm bike-sharing. July 15, marks the first birthday of Velib' in Paris. The social experiment called bike-sharing has been tremendously successful, even though it has experienced a few bumps along the way. According to The Times, Parisiens and tourists have made 27 million bicycle trips on the Velib' in the past year which is a 70% increase in bicycle traffic. When many cities talk about doubling their bike traffic in 5 - 10 years, Paris getting close to doing this in one year is phenomenal. The Times also reports that there have been three fatalities since the beginning of the program which is tremendously unfortunate, however, according to the article, "the overall [bicycle crash] rate has declined by 20%." This is due to the law of safety in numbers. 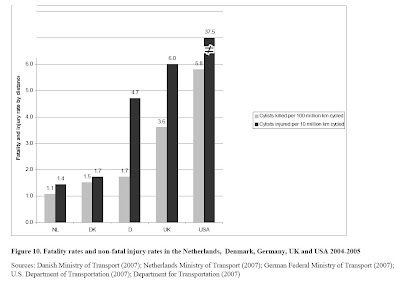 Research from John Pucher and John Buehler of Rutgers University, titled "Making Cycling Irresistible" shows that countries with the highest bicycling rates not coincidentally have the lowest injury and fatality rates. Click on the two graphs below to enlarge them (or break out the magnifying glass). Velib' and other bike-sharing programs around the world are creating cities that are more bike-friendly. 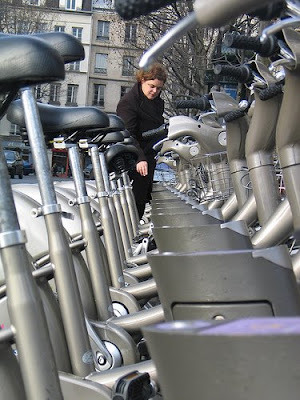 Without Velib', Paris would not be as bike-friendly as it is today. This is not to say that bike-sharing alone can make a city safer for bicyclists as this also requires great political will and financial commitment to create a network of safe bicycle facilities BEFORE a bike-sharing program is implemented. So Happy Birthday, Velib'! Thank you for introducing a wacky concept that supposedly would never work to the masses. Without you, much, if not most of the work that is going on around the world on bike-sharing programs would not have been done. Cities are places for experimentation and Paris has show that this experiment works. The Big Apple is hoping also to become the Big Bicycle with today's release of a Request for Expressions of Interest by the New York City Department of Transportation. New York is an ideal city for bike-sharing with its population density, flatness, climate, and transit infrastructure. 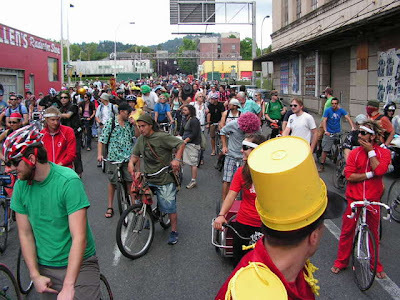 Bike facilities in the city also are ever-improving and they are experimenting with the Ciclovia concept of weekend openings of major streets for bicycle and pedestrian use in August. The New York City Department of Transportation (DOT) released this week a Request for Expressions of Interest (RFEI) to examine the possibility of creating a bike share program in New York City. If feasible and adopted, such a program would create a network of publicly accessible bicycles at minimal cost, and could provide an important transportation link at transit hubs and commercial and social areas - greatly increasing mobility citywide. "New York is a world-class city for biking, and we are looking to build a world-class bike network," said DOT Commissioner Janette Sadik-Khan. "The number of bike commuters has increased 77% since 2000. We now have more than 300 miles of on-street bike lanes, more than 5,000 bike racks, and have distributed more than 15,000 bicycle helmets. Alongside this infrastructure investment, we continue to look for new ways to reach our goal of doubling the number of bicycle commuters." The RFEI seeks expertise and information related to bike sharing programs from firms and other interested parties who would be able to implement such a program to serve both recreational and multi-modal transportation purposes. The RFEI notes that the most successful existing Bike Sharing Programs minimize the cost to bike share users and provide a sufficiently extensive network of stations to accommodate a wide range of potential short trips in the network's area of focus. However the agency remains open to receiving any new ideas and financing structures that would meet New York City's framework. Bike-sharing programs elsewhere incorporate low-cost access to a bike network in an urban setting. Users either pay a per-use fee to access a bicycle at a bike station (normally, near a mass transit hub) or they hold an annual membership which allows them regular access to the public bicycles. 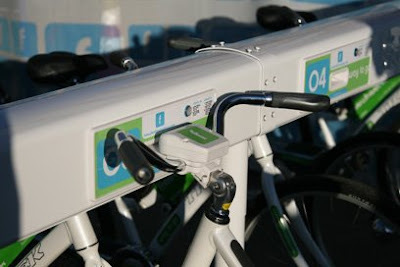 Users are then able to return the bicycles to any station in the system. Common uses are for commuting, recreation, quick trips, and travel between transit stations, resulting in an overall reduction in the use of motor vehicles. The bicycles used in the program often include unique markings or coloring to distinguish them from privately-owned bicycles. Respondents to the RFEI will be asked to provide detailed information on what they estimate the size of New York City's bike share market to be, as well as information on the scope of a feasible bike share program including ideas on station site selection, equipment, fee structures, technology and all related costs for both implementation and upkeep. 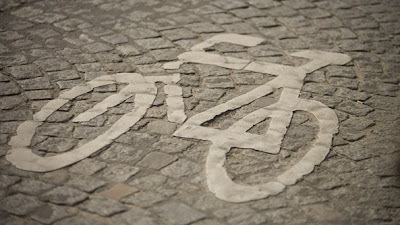 Only about 1% of commuter trips in New York City are made by bicycle, so as part of its strategic plan, Sustainable Streets, DOT intends to double that number by 2015 and triple it by 2020. Bike share programs exist in cities such as Paris, Copenhagen, Vancouver, Barcelona, Milan and other American cities such as Washington, D.C. have experimented with the bike share program. For a copy of the RFEI, please visit the DOT website. The RFEI is not intended as a formal offering for the award of a contract or for participation in any future solicitation. Posted by Paul DeMaio at 9:15 AM No comments: Labels: NBC, SmartBikeDC, Washington D.C.